Batman, Superman, Wonder Woman, Aquaman, the Flash, Green Lantern, Cyborg make a magnificent seven. With that in mind, director Zack Snyder says his upcoming Justice League team-up will pay homage to one of cinema’s all-time classics: Akira Kurosawa’s The Seven Samurai. 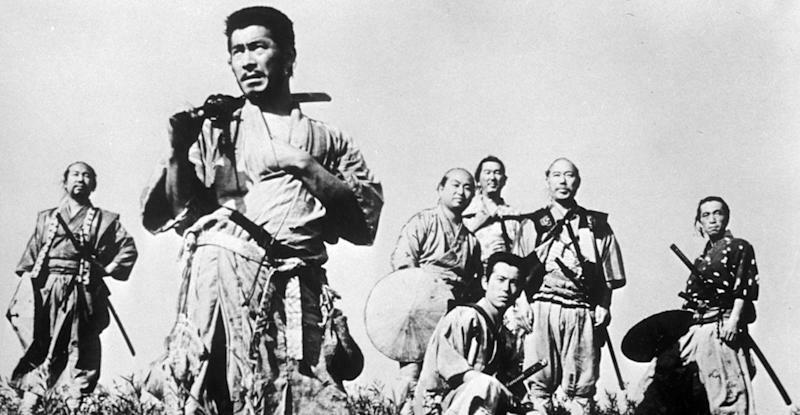 For those unfortunate souls unfamiliar with the Kurosawa masterpiece, the plot focuses on an aged samurai who seeks out six fellow warriors to defend an overmatched town from a ruthless band of marauders. The story was loosely adapted by John Sturges for his iconic all-star 1960 Western, The Magnificent Seven, which has been remade by Antoine Fuqua for release this fall. Snyder’s Justice League, the sequel to his Batman v Superman: Dawn of Justice set for November 2017, will be structured in similar fashion. By all indications, that coming threat is Darkseid, a god-like extraterrestrial and perennial Justice League antagonist bent on conquest of the universe. In BvS, Batman (Ben Affleck) dreams of a scorched desert-scape emblazoned with Darkseid’s trademark Omega symbol. The vision also contains glimpses of Darkseid’s minions, the winged Parademons. Between that vision and what appears to be a visit from a future Flash (Ezra Miller, who implores Batman to “find the others”), as well as a warning from Lex Luthor that “something is coming” from space, the Caped Crusader knows he must act. At the end of BvS, with Superman (Henry Cavill) believed dead (wink-wink), Batman tells Wonder Woman (Gal Gadot) that they must track down the other “meta-humans” uncovered in Luthor’s files: Flash, Aquaman (Jason Momoa), and Cyborg (Ray Fisher). The comics have traditionally seen the Justice League launch with seven members. The original founders in 1960 (yes, the same year Magnificent Seven was released) were Batman, Superman, Wonder Woman, Aquaman, Flash, Green Lantern, and the Martian Manhunter. In DC’s “New 52” reboot in 2011, Cyborg replaced Martian Manhunter. Despite Superman’s apparent demise, Cavill tells Yahoo that he’s ready to begin shooting next month, so that gives us six members for the movie version. Geoff Johns, DC Entertainment’s chief creative officer and co-architect of the film universe with Snyder, has said that Green Lantern will also join the ranks but that might not be until the second Justice League film in 2019, presumably to give moviegoers time to forget all about that 2011 Ryan Reynolds fiasco. Snyder has been open about the influences and inspirations behind his DC adaptations. 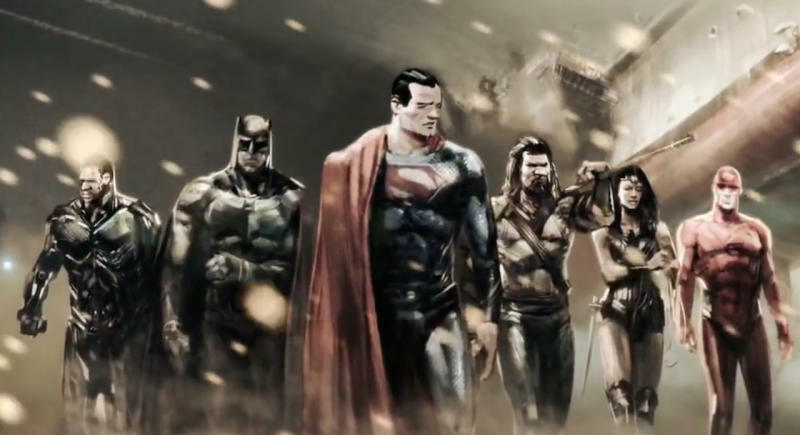 Aside from The Seven Samurai, Justice League appears to have connections to the 2011 Justice League: Origins comic; the filmmaker also borrowed storylines and visuals from Frank Miller’s seminal The Dark Knight Returns and the classic 1992 Death of Superman arc for Batman v Superman. Check out the complete rundown of DC’s upcoming movie slate and how those films tie into Batman v Superman.